Hello floral pants!! Hi there blue heeels! Im really pleased with this ensemble, how it all came together. One of my absolute favourites. I owe it all to those fabularse pantsies which I first laid eyes on during my blogreading. I really love to be inspired by different style bloggers, in this case I squealed a little when the magnificent Catherine from Not dressed as lamb wore these pants. You can see how she styled them here. 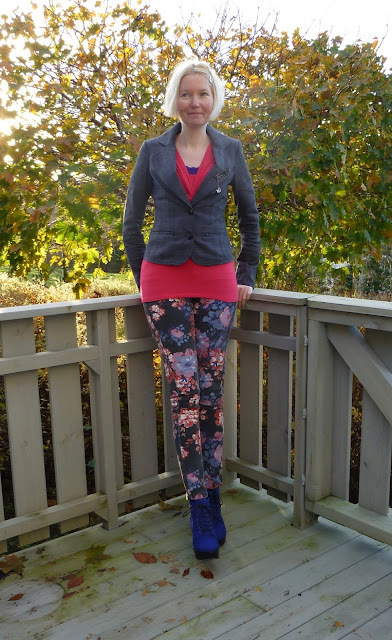 Filed in: Asos, Boden, heels, pants, shoes, Skopunkten, What I wore Wednesday. 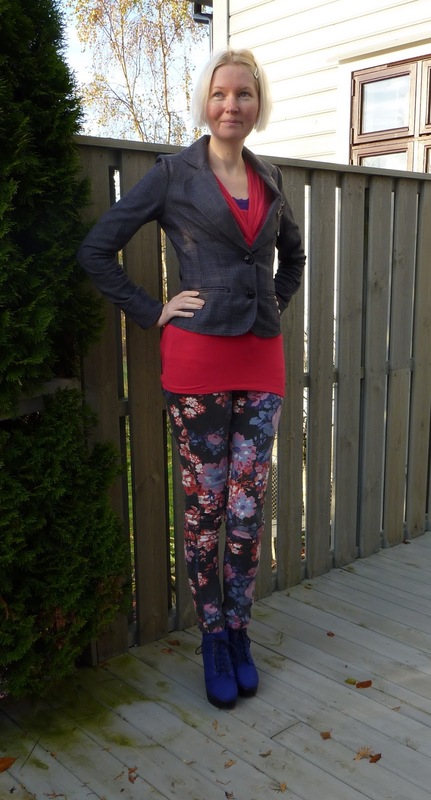 You are rocking those pants and shoes, as well as the pose! It is one of my favorite outfits from you too! 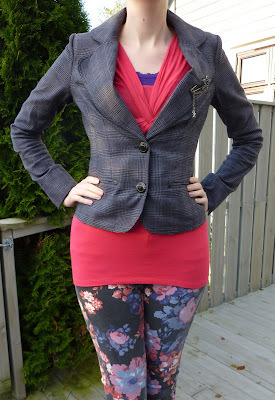 Amazing - love the pants, wonderfully-fitted jacket, and great blue boots! I remember those pants on Catherine. You are rockin' them with the blue shoes. What a great outfit! Those pants are astounding, and they look super with the shoes. Oooh those blue boots make my heart swoon! 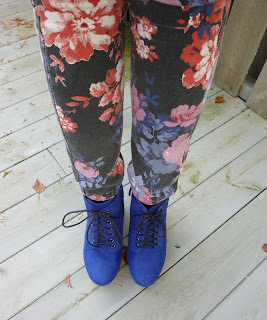 Blue boots have been my holy grail this autumn. I really love the outfit! It all works together well, but that blazer is so nicely tailored...it's my favorite part! Hi Izzywizz, thanks for dropping by my blog, I'm definitely going to follow you, too! I love this outfit and how both you & Not Dressed As Lamb styled the pants, very fun & sophisticated. Those shoes are amazing, and I love the way you combine colors! I'm your newest follower!